Give your child (ages 3-13) a birthday experience they will never forget. Have a party with the planes! Cavanaugh Flight Museum’s birthday package allows your birthday boy or girl an extraordinary party area among the planes in one of our huge aircraft hangars. 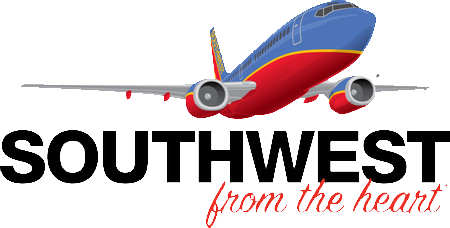 Parties also include a tour of our world class museum and an optional, one-of-a-kind, Military Vehicle Tour of the Addison Airport! Saturday: 9:30 a.m. to 11:30 a.m. / 12:00 p.m. to 2:00 p.m. / 2:30 p.m. to 4:30 p.m.
Sunday: 12:00 p.m. to 2:00 p.m. / 2:30 p.m. to 4:30 p.m.
Summer Weekday: 9:30 a.m. to 11:30 a.m.
· $100 – Private Military Vehicle Tour of Addison Airport. 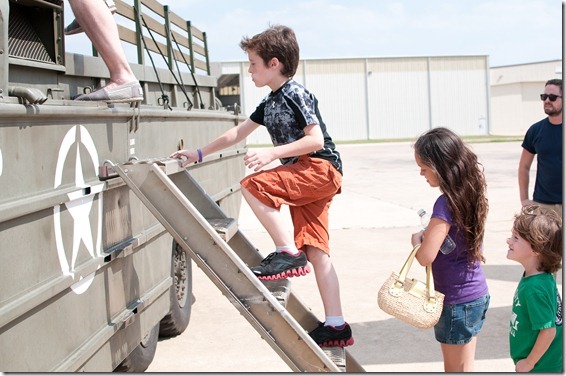 Send your party guests on an adventure in our Deuce ½ or DUKW Military Vehicle. It’s the closest you can get to the runway without being in a plane. *We can seat 20 guests per tour and run up to 3 tours for $100. · $5 and up – Gift Certificates. Give the gift of “soaring fun” while letting your child or guests choose their own favor from the Museum Store. · $7 each – Party Favor. You bring the candy; we supply the “cool”. 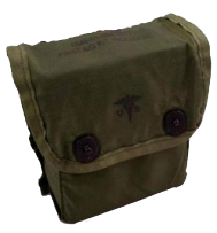 Current military issued OD pouch and OD plastic box which is 5.5'' tall will come “pre-stuffed” with a commemorative aero prop and Cavanaugh Flight Museum sticker. The favor is great “as is” or bring additional items to stuff it further. For more information on children's birthday parties, contact at (972) 380-8800 X114.